Layout and Planning/Engineering phase to secure permit for your dream backyard. Excavation and site/form preparation for all that follows. Highly experienced workmen. Time to choose tile, deck and other equipment for later placement. Expert plumbing and steel before shotcrete. Electrical, Inspection and Shotcrete stages by experienced craftsmen. Pool tile, Deck and surround landscaping stage. Work performed by experienced artisans. Plaster or Pebble interior, then fill-up and start-up phase. Almost done. To “swell!” Worth the wait and the effort. Please contact LMR Pools Consulting & Design Service with your questions. 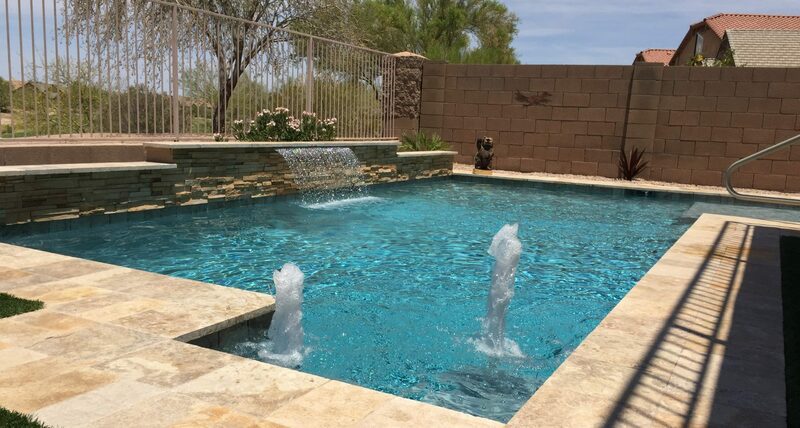 We look forward to helping you achieve your dream backyard pool!